Sometimes not just what you eat but how you eat also makes a difference to your health. The quantity, time, place, combination of food we eat plays a vital role in our health. 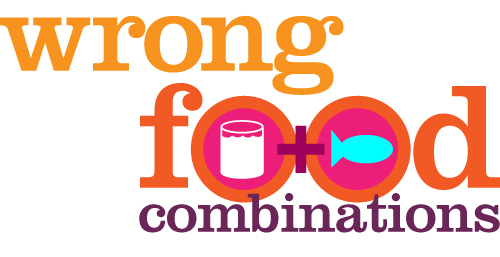 Incompatible food combinations are more than just “bad-taste”, it can lead to low immunity, digestive problems, and allergies. This combination doesn’t seem to quite fit in the list right? Firstly, bananas are heating while milk is cooling in nature, this alone can be problematic. Furthermore, bananas turn sour as they break down. Our digestive fire has to process a sour substance and milk at the same time which can be heavy to our system and can lead to an upset stomach. The opposing qualities of banana and milk can disrupt the balance of intestinal flora, and may result in the creation of toxins in the body. It has been notices that this combination also commonly causes congestion, colds, coughs, allergies, hives, and rashes. If you love banana smoothies and can’t do without it then, makes sure the banana used in the smoothie is very ripe. You can also add cardamom and nutmeg to stimulate digestion. Yes, this heavenly made combination is bad for your health. The high protein content in eggs and fats in bacon many give you an instant energy boost but that vanishes very soon, leaving you energy drained or lethargic. Sometimes fruits don’t combine well with other foods especially the ones rich in fat, protein, and starch. This is because fruits contain simple sugars which are easily digestible and hence doesn’t stay for a long time in the stomach. Other foods when consumed don’t digest as easily and stays in the stomach for a longer period of time. If you consume fruits after a heavy meal then, the sugar in fruits will start breaking down making a layer just above the previously eaten meal and may start fermenting. This might lead to conditions such as acidity, acid reflux etc. The scientific explanation for this is not clear but consuming fish and milk together will harm and cause vitiligo. Avoid consuming cereal/oatmeal with orange juice or any fruits. Fruit juice produces acid that destroys the enzyme responsible for digesting starches (present in the cereal). This might be problematic for digestion and can lead to digestive problems. Drink fruit or orange juice 30 min before the oatmeal.